Planning a wedding is expensive, time consuming and stressful. Why go through all of that when everything can be taken care of for you? 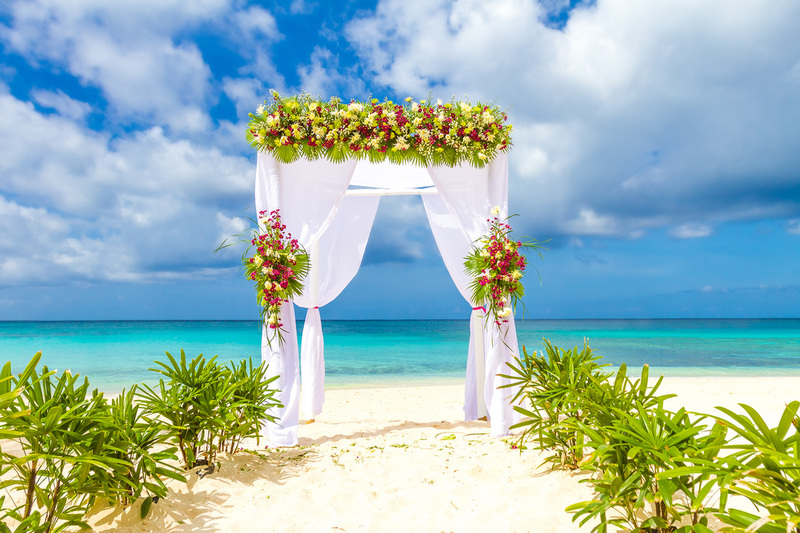 Destination weddings at tropical resorts are often free with your stay and are all-inclusive. That means your biggest job is packing your suitcase. We will arrange travel and accommodations for you and your guests. We will be there for you along the way, with answers to any questions and solutions to any bumps along the road. ​We know what we're doing. Also check out our Wedding Tours! Your Honeymoon is right around the corner. Your wedding is just the beginning. Next stop is your honeymoon, and it's not too far away. Imagine you and your love in a private suite, greeted by a bottle of bubbly while overlooking the tropics from your private balcony. Step out for dinner or stay in while your butler brings dinner to you, it's your honeymoon. Jamaica, Saint Lucia, Bahamas, Antigua, Grenada, Barbados...let's go!